Professional and courteous eye exams. 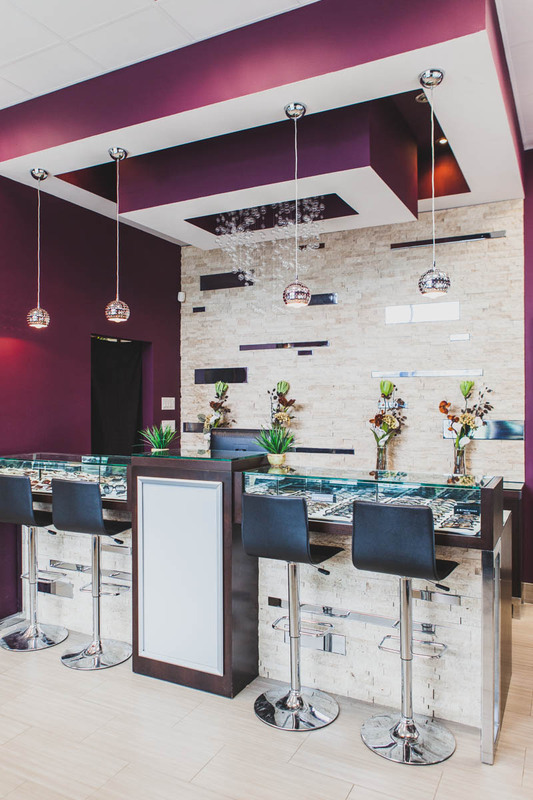 All Eyes On Me Optical is a designer eyewear boutique and optometrist in Milton, Ontario. We house custom displays of exclusive eyeglass frames and sunglasses for women and men, with a wide array of collections and all types of styles. Adults should have their eyes examined to keep their prescription current and check for early signs of eye disease. As well, eye exams for children play an important role in ensuring normal vision development and academic achievement. Children should have their first eye exam by 6 months of age and annually thereafter. All Eyes On Me Optical also recommends a yearly comprehensive eye exam for all patients to ensure optimal vision and eye health. An annual, comprehensive eye examination from a certified Optometrist can detect early signs of eye disease. Will my eye exam be covered by OHIP? For children and young adults, up to age 19, OHIP covers one (1) comprehensive eye examination annually. For adults aged 20-64, Only those having certain medical conditions are insured by OHIP annually for an eye exam. For older Adults (65+), OHIP insures one comprehensive eye examination annually. Congratulations to All Eyes On Me Optical on being the on top Optometrist in Milton ranking of 2015. ""I have never once seen the shades I have on anyone else. AEOM provides unique high end eyewear unlike anywhere else I've seen. If you want to turn heads this Eyewear Boutique is a must!!!"" ""Great service! Informative dialogue, great help choosing my glasses and lots of attention to my questions. The eye doctor is amazing too! Highly recommended."" A Sneak Peak At Our Brands.